One of the hottest colors on the runways this winter is the great Mustard.I know that you might think, that it doesn't flatter you, but I can tell you ladies , if you know how to wear it you will look Damm good!!!. 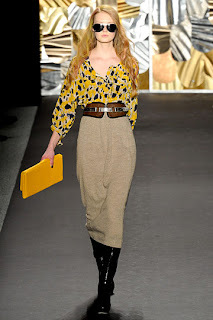 This winter the Retro, 70s´style is very in and this mustard goes very well with does styles. 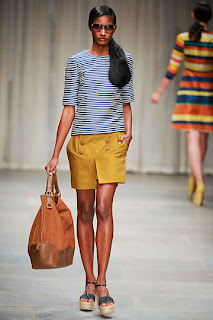 Look well at the pictures, I bring you here a variety and you can maybe find something that looks almost the same in your closet or in your favorite store.